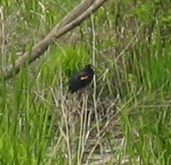 Update: Deborah has totally correctly identified the bird as a red-winged blackbird. The second bird was black with an orange spot. Does anyone know what kind of bird he is? 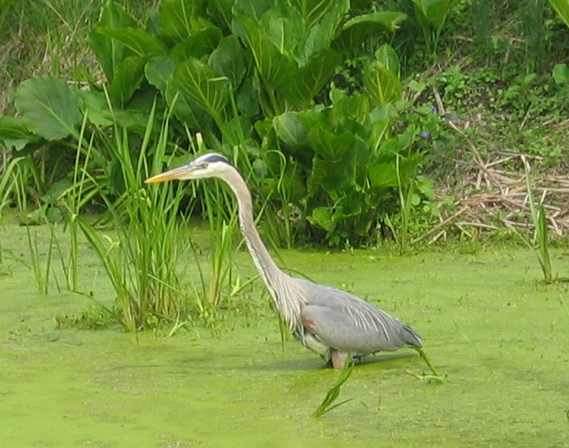 Looks like a red-winged blackbird, frequent denizen of wet areas. Thank you! It was a pretty, and noisy, bird.